The count sensors serve two main purposes, first is to count the number of bottles in the fill area transported by the power conveyor system. 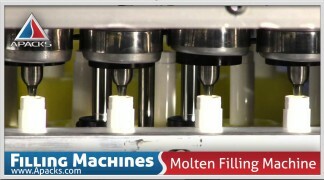 The number of bottles that will enter to the filling machine will also be equivalent to the number of fill heads attached to it. In other words, if the machine is composed of sixteen fill heads; sixteen bottles will also enter into the filling area. Once all the bottles reach its designated fill heads, the indexing system will now stop adding bottles. From there, the count sensor will perform its second purpose by becoming an activating sensor. The count sensor will then send signal to the machine that the bottles are already in place and the filling cycle should now begin. The float sensor is a detecting device that ensures product availability. They are responsible in sending signal to the pump whenever the liquid level in the tank becomes low. The pump will then re-supply the tank with product so that filling cycle will continue without interruptions. Reducing operator intervention is one of the biggest benefits of float-type sensors. Float-type sensor operator doesn’t need to check and regularly add products to the supply tank. All he needs to do is to check the bulk product supply at times to ensure that the product is not running low. Again, the two types of sensors are used in automatic filling machine. There may be other types, however, they are mostly found on specialized projects in a packaging line. In conclusion, sensors are attached and used in filling equipment as communication device that will detect any errors arising in the entire packaging line. The detecting device allows the machine to function at its optimum efficiency and highest consistency.